It’s never surprising to learn from a writer like Michael Ondaatje but *The Cat’s Table,* beloved by many readers, led me to think about how different genres of plot can extend each others’ limitations. *The Cat’s Table* combines plot forms of memoir and of mystery or detective fiction. And first off, it led me to think about the potential for fictional memoirs–though you’d think a person who read Defoe’s *Robinson Crusoe* as a child would’ve thought of that already. But learning to write something often seems like remembering to apply things you know already. Certainly there are different kind of memoirs, some gripping–like parts of Defoe’s novel–but I think of memoir plots as slowish, reflective, maybe finding connections that were not apparent among experiences as lived, and deriving their momentum mostly from the progress of “then” towards “now.” Their strength seems to be in tonality and depth about character and experience. By contrast, the plot form of mystery, or its variant, detective fiction, is typically fast and powerful: a quest plot that gallops like a racehorse, hauls like a train. Their strength is in their excitement and engagement of us as readers–or audiences in whatever medium. *The Cat’s Table* adopts the fiction of a memoir, creating a still-colonial boy-character on a sea voyage to the center of what is still Empire. But gradually his and his friends’ shipboard explorations stumble into mysteries about fellow passengers, some but not all of which involve the planning and escape of a political prisoner being sent to London in chains for trial. And one of the things that impressed me about this novel as how the mystery of the escape plot pumped excitement and momentum into the fictional memoir–especially in the middle, where it might’ve lapsed–while the memoir form provided a shape that allowed the narrator character’s reflection, years later, on what it had all meant, insofar as that was possible to know. 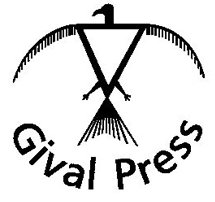 I learned from *The Cat’s Table* to look to other genres of fiction for support, and the result was my own *Mayhem: Three Lives of a Woman,* which combines melodramatic action and fictional memoir and is now–hallelujah–forthcoming from Gival Press. Thank you for the lesson, Michael Ondaatje. His *The Collected Works of Billy the Kid* suggests a more radical version of the same, combining genres of poetry and prose.